Serveware set crafted of dolomite. 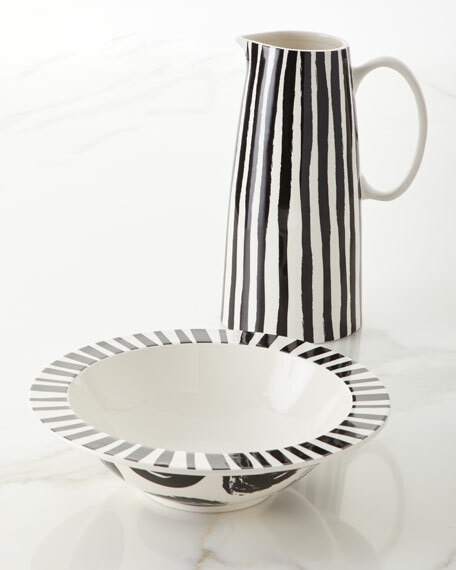 Two-piece set includes pitcher and bowl. Pitcher: 5.5"Dia. x 11"T; holds 96 ounces. Bowl: 11"Dia. x 3"T; holds 48 ounces. Coton Colors launched in 1995 with founder Laura Johnson's simple motto, "never miss an opportunity to celebrate every day." 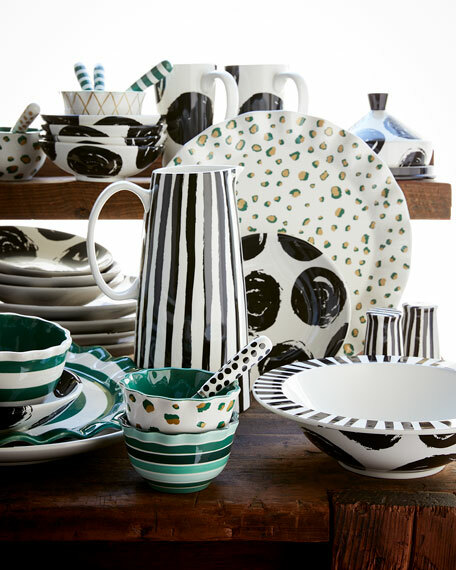 Coton Colors is now a leading lifestyle brand specializing in giftware, dining, and décor. The brand consists of three collections: dining and entertaining, ornaments, and Happy Everything. All three collections are meant to inspire people to celebrate all parts of life, no matter how big or small.